Culture of leisure, Céline style. Photo from Fall 2017 campaign photographed by Juergen Teller, courtesy of Céline. Bathroom love at Coqui Coqui Coba residence in Mexico. Photo credit: Eduardo Cerruti and Stephanie Draime. 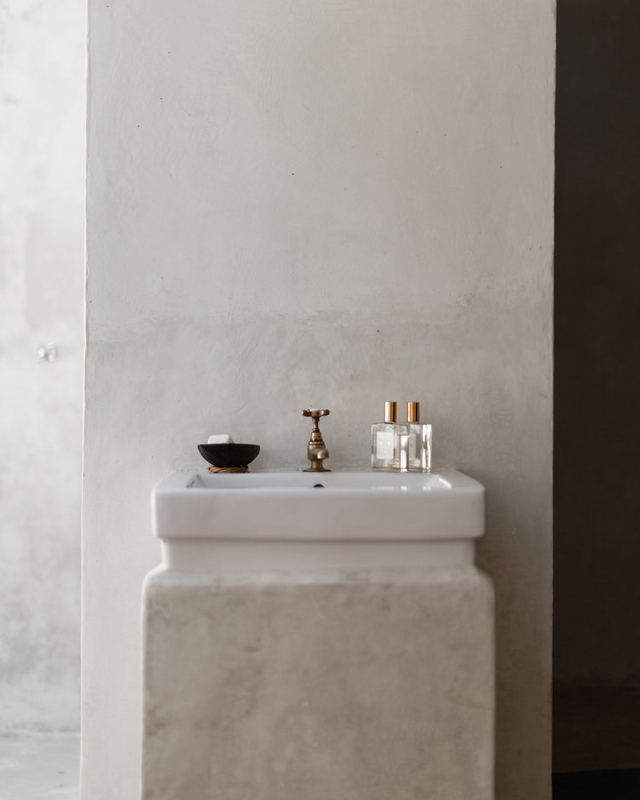 In a hot climate, style is made in the bathroom, and rather than a look, it is an attitude. You wash your face and teeth, you comb your hair, apply your lotions, maybe spray things on you. By washing and grooming yourself in a mindful manner – even if it is just for yourself – you set the mood for the day. It shows on your face and the way you carry yourself in those almost nonexistent pieces of clothing that are suitable for the heat. Most days at home, I wear a bikini. This has to do with practicality as well as vanity. You sweat and swim all the time, and even if you spend no time suntanning, you end up getting sun. Lots of it. A bikini with a strapless top means no visible tanlines when it is time to wear real clothes again. When that time comes, I try to avoid rushed mornings and keep up the morning beauty ritual. Style wise, it is major, because it has such a significant effect on how you wear your clothes – and what you choose to wear. It is a wonderful task to dress up nicely when you feel beautiful. Not so much when you temporarily dislike everything about yourself. There is no better way to look good in clothes than to look good naked. And looking good naked, that’s all about caring and loving the embodiment of beauty that you are.